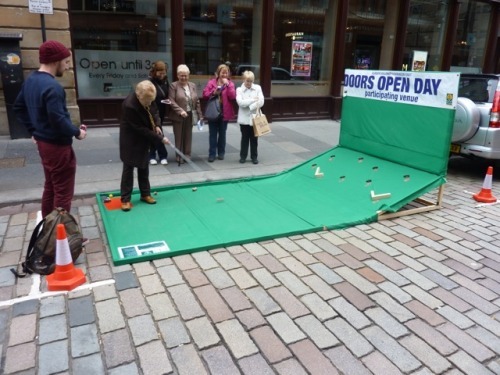 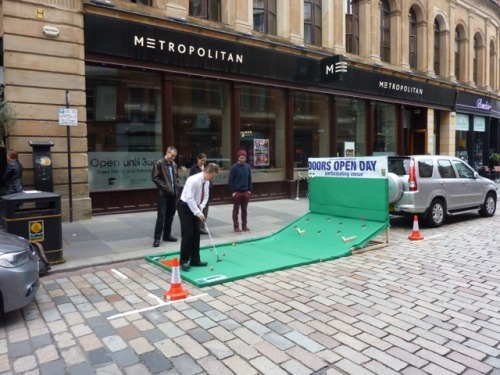 As part of Glasgow Doors Open Day and International PARKing day, Collective Architecture joined John Gilbert Architects and other members of SEDA took over parking spaces in the Merchant City last weekend. 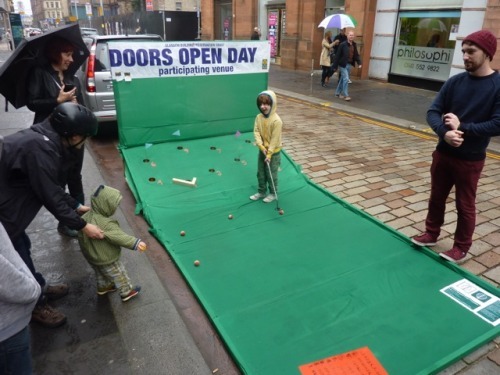 PARKing Day is an annual worldwide event where artists, designers and citizens transform metered parking spaces into temporary public parks. 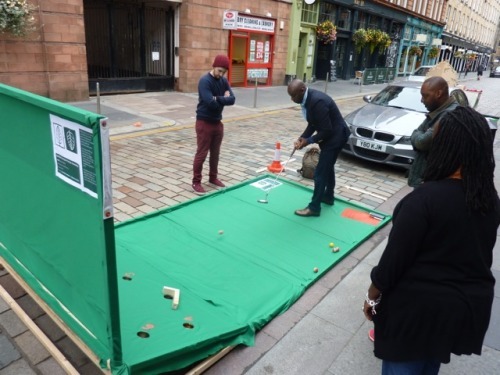 Our crazy golf parking space, built by Jan and Stephen, attracted a lot of attention, with lots of happy putters and a winner from Burundi!